Ho ho ho, it’s prezzie time! Or at least, it almost is. Giving something to someone special can be so much fun. There’s still a lot of gifts out there made by little children hands, or by highly underpaid people around the world. Or filled with chemicals. So when you want to give someone a gift in December, please do consider something that is fair made, sustainable or completely natural, you wouldn’t want to receive something that has suffering behind it either right? So here it is, my tips for a sustainable, fair trade, honest or natural gift. Happy holidays! Diamonds are a girl’s best friend? How about pearls? This beauty is manufactured in Denmark and is made of 100% sterling silver coated with 18K gold. Isn’t it a beauty? Available at sustainable webshop thegreenlabels.com. 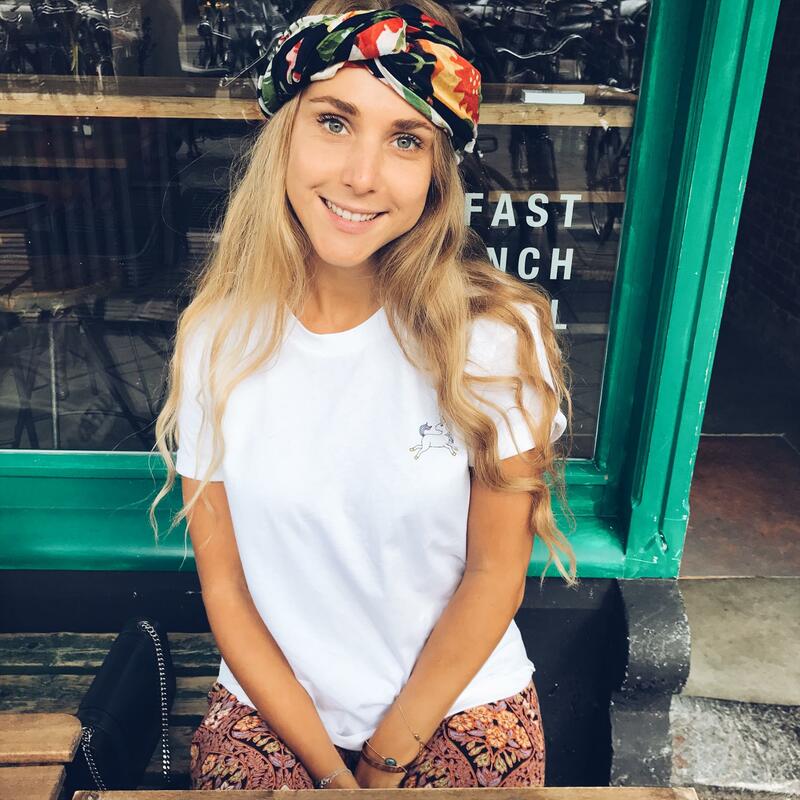 Isn’t this just the cutest bandana? It get’s even better: it’s made of recycled plastic and completely fair. What’s not to love? Available at sustainable webshop WolfandStorm.com. A hundred percent organic and natural Argan oil, anyone? 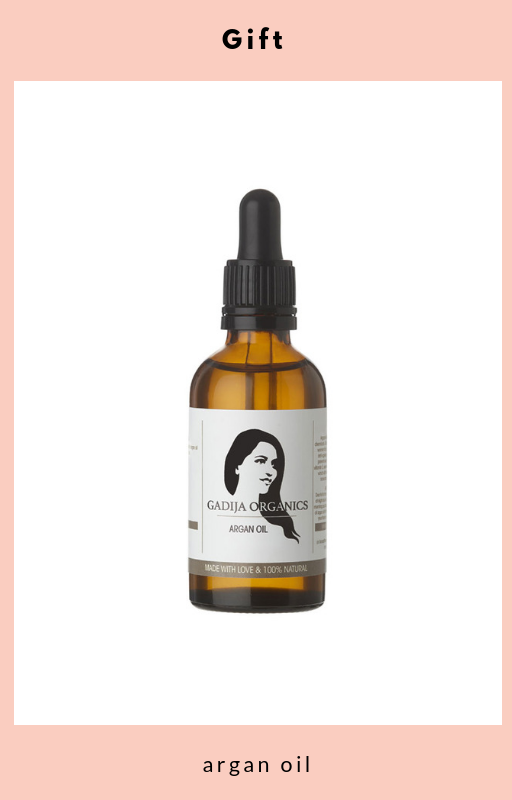 This Argan oil for your face is 100% organic and free of chemicals. It is the best kept secret of Moroccan women for a soft and hydrated skin. Rich in anti-ageing ingredients, argan oil helps to prevent wrinkles and fine lines. It is high in vitamin E, essential fatty acids, and antioxidants, which all help prevent skin conditions like acne and dry skin and reduce scars. Via GadijaOrganics.com. How to live a happy, conscious and healthy life? 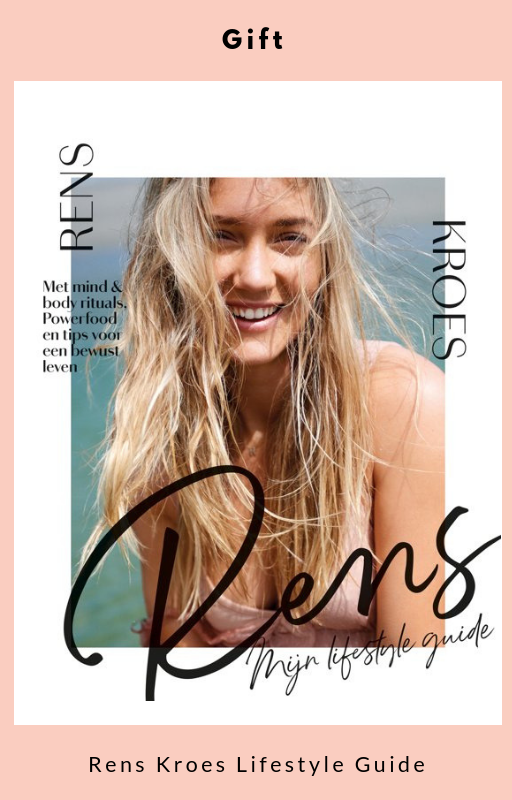 Rens Kroes (yes, sister of famous model Doutzen Kroes) helps you with that with her brand new lifestyle guide. It’s filled with amazing tips and of course, recipes. Via Bol.com. This beautiful is made of recycled gold or silver and are sustainably made. 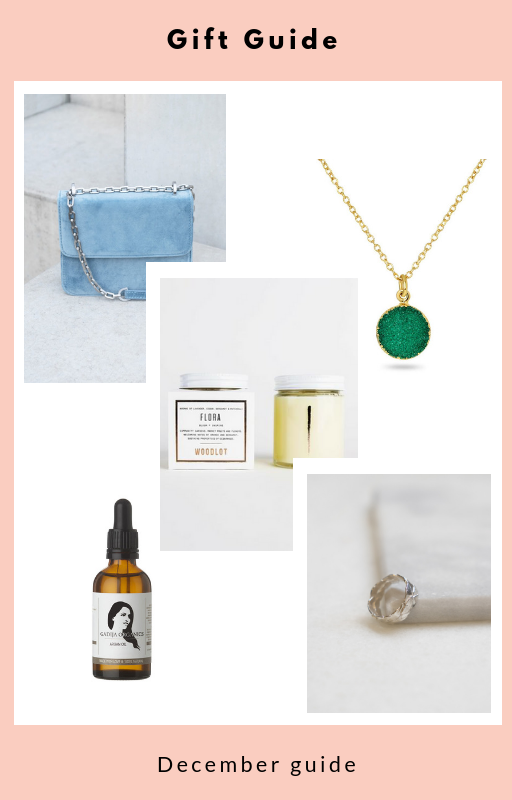 The founder of this brand, Mélanie Pigeaud, calls her jewelry pieces ‘heroes’: The word ‘heroes’ refers to the mine workers in the gold and silver mines across the world. Mélanie Pigeaud truly sees them as heroes, they work so hard (under such bad working conditions) to find the best gold and silver in the world. By creating these pieces, she gives them a voice. This way please. Candles, I love them for multiple reasons: they bring light, warmth and when they are finished you can recycle them or throw them away. This way one is petroleum free, gmo free and phthalate free. Also: the glass jar is recyclable. Score it at ReinaOrganics.com. The anklet is made of 925 silver beads and sterling silver charms and has a perfect fit (adjustable size). It’s handmade by artisans in Thailand and they included a feather charm and bell charms in this design – giving the perfect boho touch. 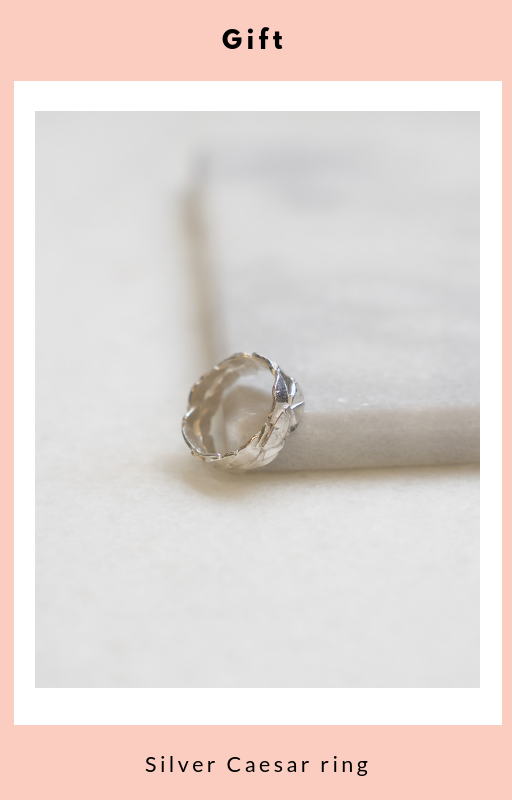 Full silver so you can wear it in the sea, shower, pool..made to last forever together! Via ElvesandWolves.com. 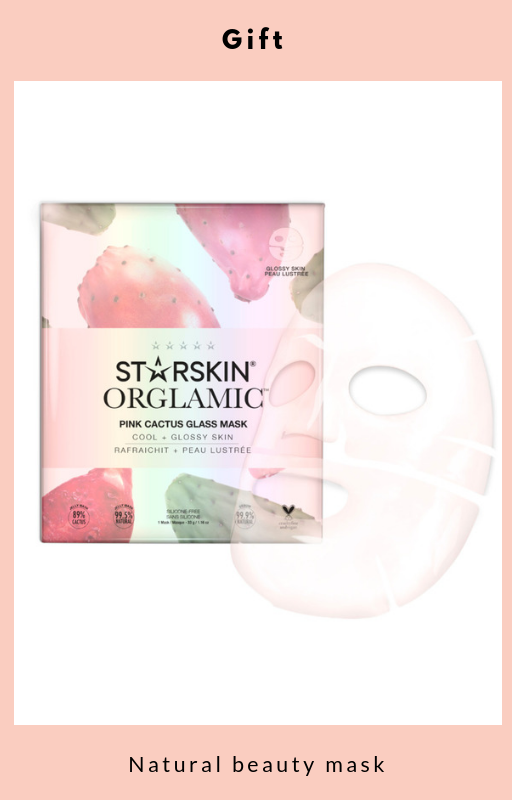 The Starskin Orglamic™ Pink Cactus Mask is completely natural, made with pink cactus and filled with antioxidants. This mask soaks deep into the skin, providing intense hydration and a unique blend of antioxidants. Infused with prickly pear oil extract, this sheet mask leaves the complexion looking nourished, visibly firmer and radiant. Available at, for example, Douglas.nl. 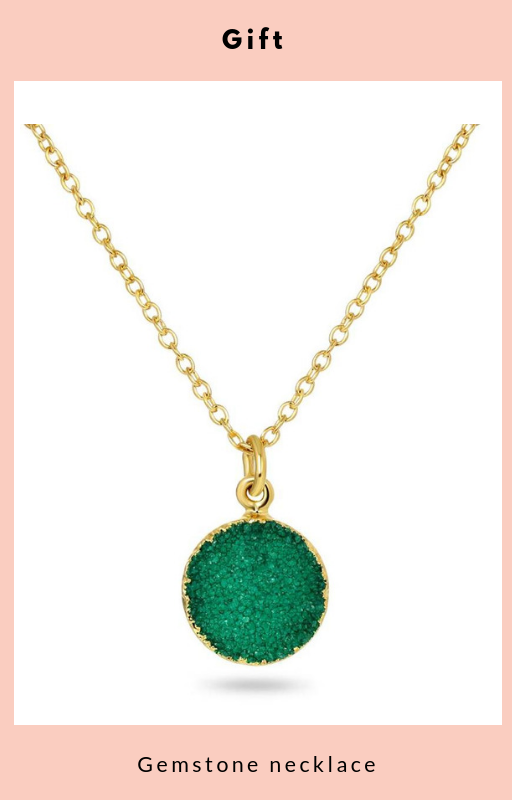 Fair made by a family in India: this beautiful necklace available in different color gem stones (druzy). 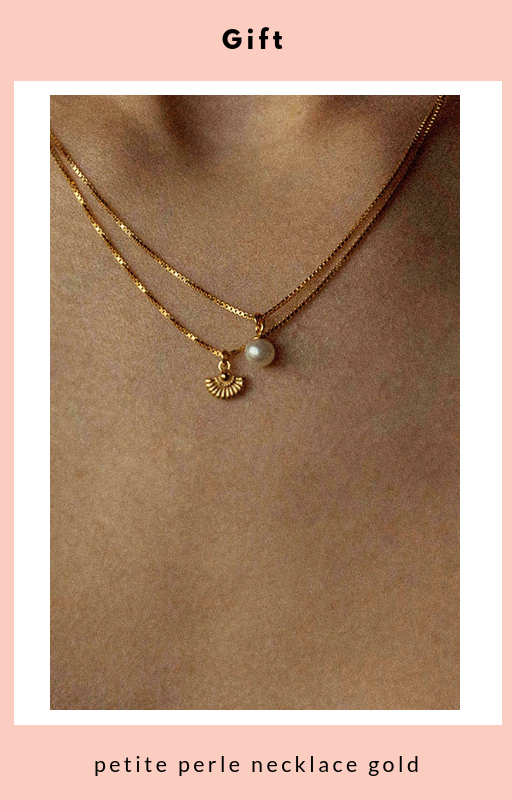 The necklace is 18k gold plated brass. Druzy Stones can strengthen your inner strength, give you inspiration on every level and guide you in your individual growth process. They have a healing effect on your mind, on your body and on your emotions. The specific structure of this stone is known for its wide variety of healing areas. The stones are among others. for connectedness, patience and positive love. Available at ShantiJewels.nl. Vegan, eco friendly and natural: this Konjac sponge is made from pure edible plant roots. 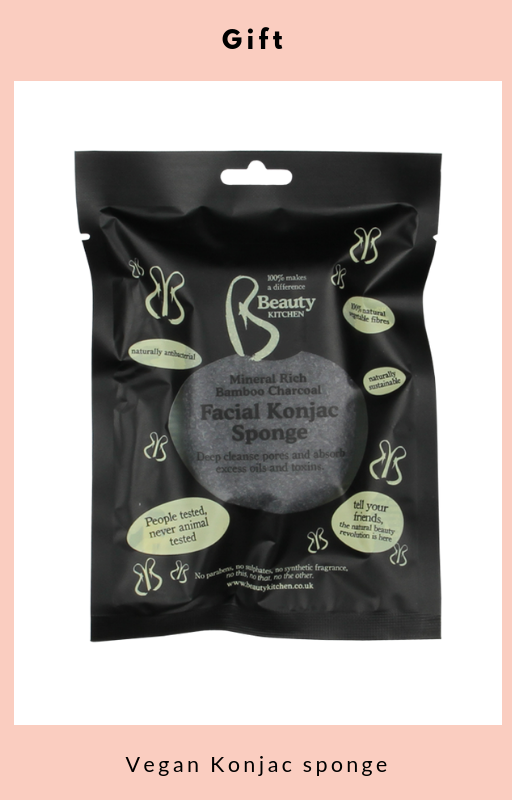 This bamboo charcoal enriched Konjac Sponge cleanses and gently exfoliates the skin to leave it clean, soft and radiant. It contains mineral rich bamboo charcoal to absorb excess oils and toxins from the skin. Via Beauty Kitchen, available at Holland & Barrett. 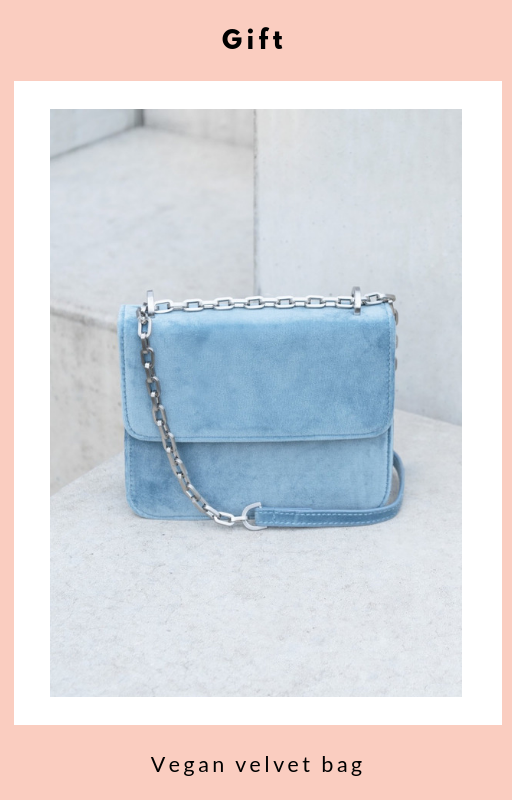 Blue velvet-crush! This all vegan bag is made by Denise Roobol and is too cute for words. 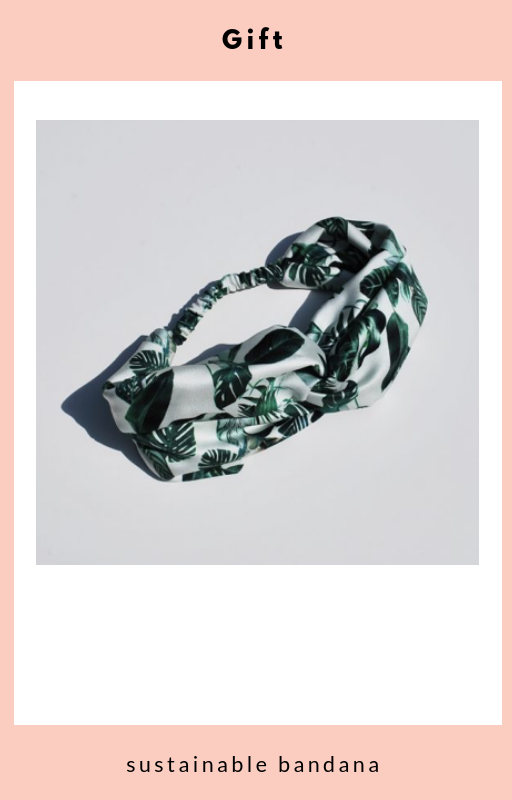 Available at DeniseRoobol.com. Practical gifts are my favorite type of gifts! 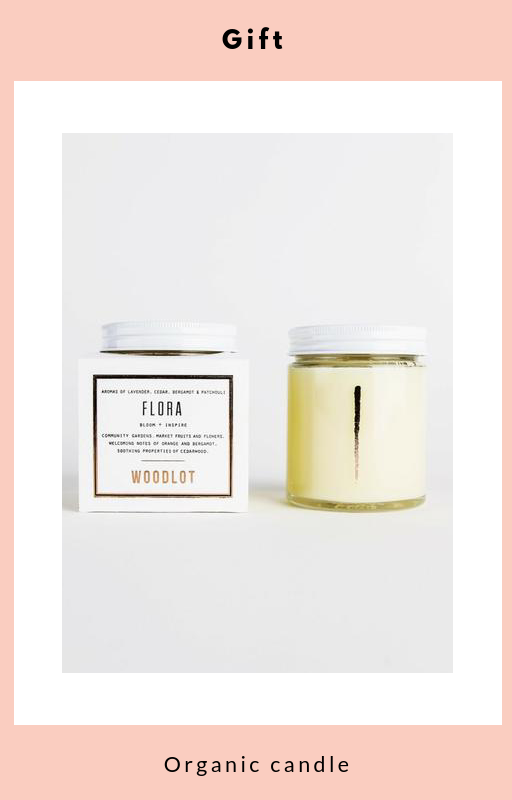 How about a natural & planet-loving deodorant in a cute package (made from sugar cane!)? This deodorant is vegan, not tested on animals and you won’t find any aluminium, parabens, propellants, artificial fragrances, chemicals and alcohol in it. Plus: they promise that you’re odor-free from 3 to 7 days with only one application. Check it out via NuudCare.com. What are you going to give your loved ones?